Legendary painter, sculptor and performance artist Kusama (b. 1929, Tokyo, Japan) uses the pumpkin as a signature form, embracing the gourd as both an allegory and a form of self-portraiture in paintings, drawings, sculptures, and some of her most important installations. 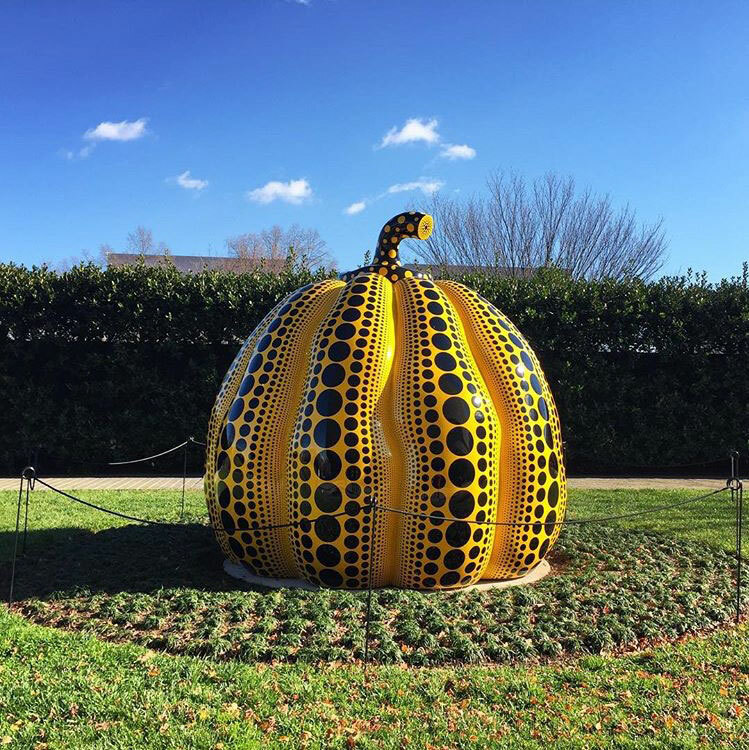 This marks the U.S. museum debut for the whimsical sculpture, whose surreal scale and bold yellow-and-black pattern embody two of Kusama’s most recognized motifs: pumpkins and polka-dots.